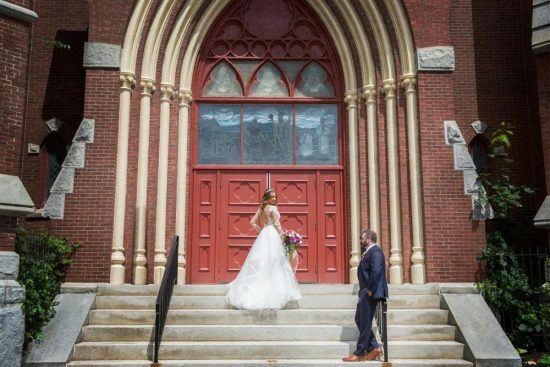 Celebrate your special day at the Agora Grand Event Center, a majestic Maine wedding venue where you can become one with your partner in a vintage romantic setting. 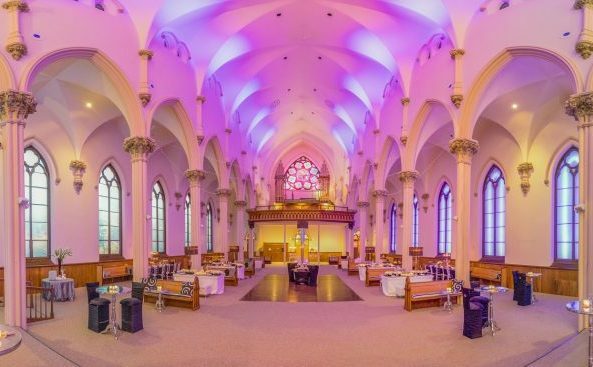 Created from a castle-like church rising twenty stories high, the Agora Grand is one of the most unique wedding venues in New England. Your all-inclusive wedding venue rental comes complete with luxury amenities including an elegant chapel, a magnificent reception hall for small and large weddings alike, an exquisite balcony lounge to pamper you and your wedding party, and New England’s most unique honeymoon suite to share with your loved one. 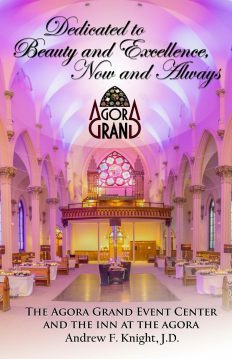 Created from one of Maine’s most beautiful and historic landmarks, the Agora Grand Event Center is a luxurious event and wedding venue. 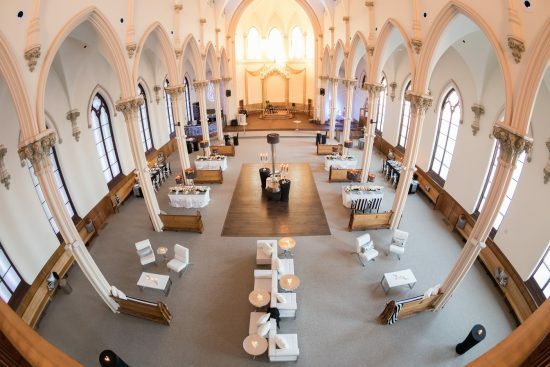 Built in 1890 in Neogothic architecture and fully renovated in 2016, this magnificent venue boasts soaring ceilings, ornate columns, custom lighting, a state-of-the-art sound system, and a lounge overlooking the beautiful vistas inside. We take pride in the heritage of this building and in providing the highest level of service to our clients. To find out more about our amenities, pricing, and availability, or to schedule a tour, please feel free to reach out. 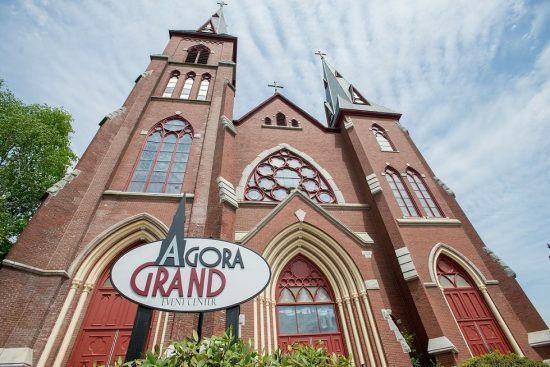 The Agora Grand is the perfect blank slate for you to craft the wedding of your dreams. 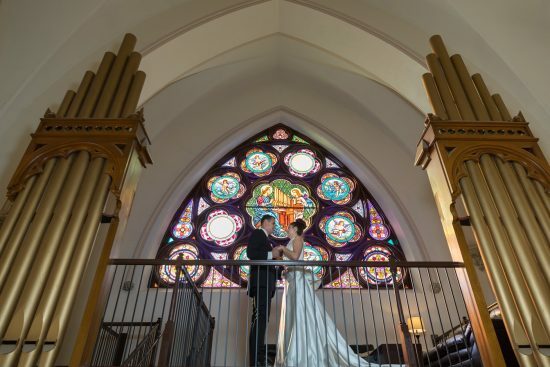 Within an elegant and picturesque backdrop, the Grand Reception Hall and the on-site Traditional Chapel are ready canvases for your wedding vision. Maine has truly exceptional wedding vendors. Here are a few suggestions. 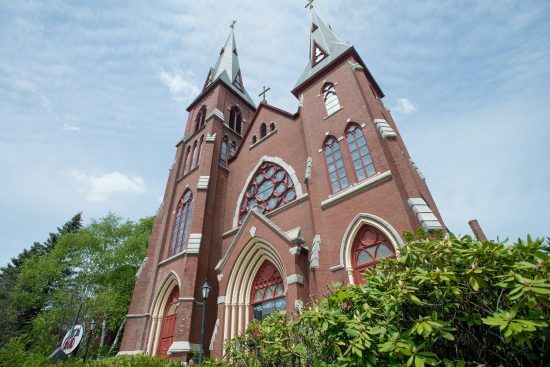 Dedicated to Beauty and Excellence, Now and Always, chronicles in full color the tremendous history and outstanding workmanship behind two Maine landmarks. A paperback is available for purchase or download the eBook for free! One of Maine’s most beautiful buildings was revived in 2016. Your hosts have worked tirelessly to infuse modern luxury into the elegance of the past while respecting the building’s history. We could not have asked for a more perfect venue. 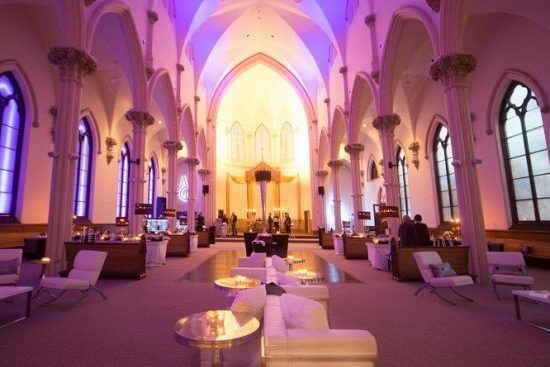 The space is naturally beautiful, classic Gothic architecture that draws the eyes up; with the accent lighting in the windows, bar, and ceiling, decorating beyond some nice centerpieces was unnecessary. Our DJ was able to hook in to the built-in sound system quickly without any trouble, and the dance music easily filled the space. Overall, if we had to do it all over again, we would hands-down use the Agora Grand as our reception venue. 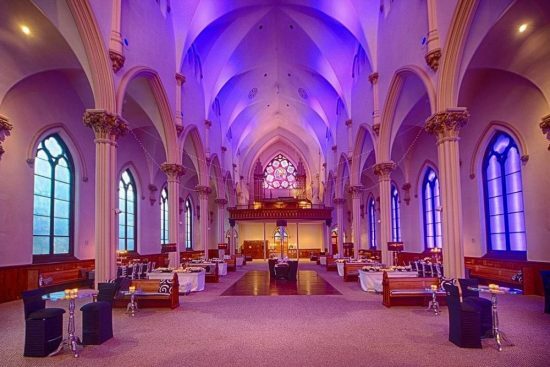 This is a spectacular venue... beautiful old church that has been converted to an event center. It also has a beautiful chapel attached and a kitchen. 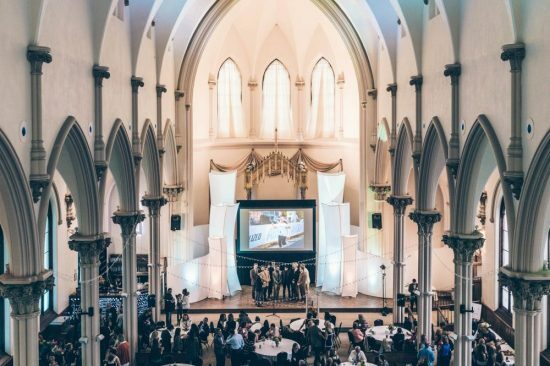 The venue itself has soaring high ceilings and resembles a cathedral in the UK or Europe... There is a dance floor and state of the art technology with a screen to show videos or pictures... The owner and staff are very nice and were wonderful to deal with. The Agora Grand for our Wedding venue was perfect for our special day. From beginning to end we knew this was exactly what we were looking for. The high ceilings, columns, balcony lounge above with an amazing stained glass window takes your breath away. The lighted bar, windows, and ceilings add that special modern touch. The Inn has historical charm, quaint rooms, with lounging areas on the first floor. All in All if you are looking for the perfect fairy tale wedding this is the place for you. Words cannot describe all the details of the Agora. This venue exceeded our expectations. This place is amazing beyond any words that could explain, nor do any pictures due it any justice! 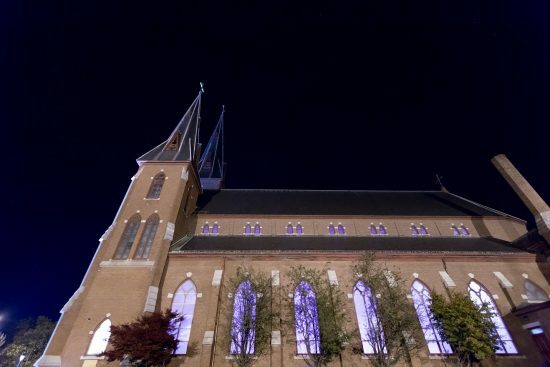 It's a must-see when choosing a venue for any event! The owner is great to deal with and very accommodating. I highly recommend Agora for anyone looking for a venue to host any event. I could go on and on about how great this place is or you can see it for yourself! The Agora Grand stands up to its name – it’s a gorgeous, elegant and spacious celebration venue. The owner of the Agora Grand went above and beyond... From the special lighting to the super chic bar and lounge to the huge catering kitchen, even karaoke, it was a perfect venue for us and we look forward to holding many more events at the Agora in the coming years. The venue was gorgeous, cozy chapel, and the Inn had wonderful accommodations for the bride and her entourage... reception hall very beautiful. We have received many comments about how gorgeous it all was. 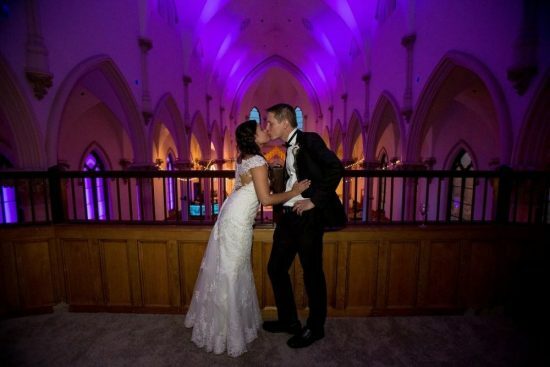 We couldn't be happier... We highly recommend The Agora Grand for any event. 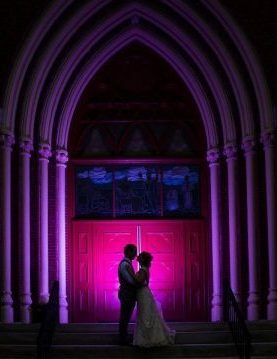 The Agora Grand is a stunning venue with a great staff that went above and beyond to make our wedding day unforgettable. Thanks Andrew and Jan! Our wedding photos look amazing. 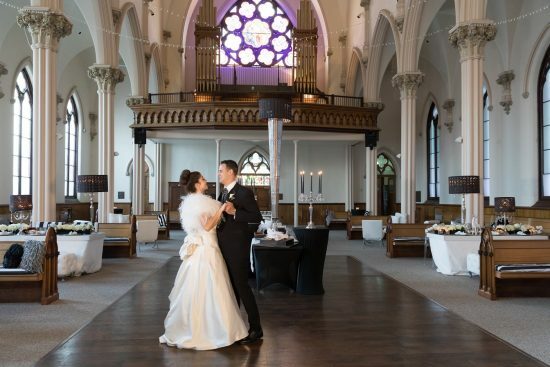 In July, my husband and I had our wedding at St. Patrick’s Chapel at the Agora Grand Event Center. It’s quite an understatement when I say that the chapel is classy, elegant and, most importantly, very spiritual. 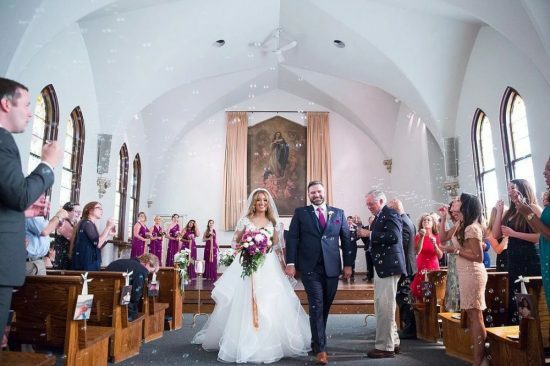 It was the ultimate perfect intimate setting for our wedding on a beautiful, sunny day … and 25 years from now, we hope to renew our wedding vows at the same St. Patrick’s Chapel at The Agora Grand Event Center. 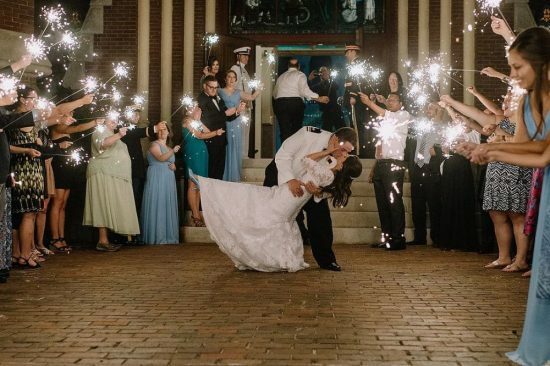 My son's wedding was out of a storybook, from the the "not out of a barn like reception center" to the starry walk as they left. Thank you for providing us with a beautiful wedding venue ... we couldn't be happier! We hosted a Chamber of Commerce event with about 240 guests at the Agora Grand. The ambiance is incredible. 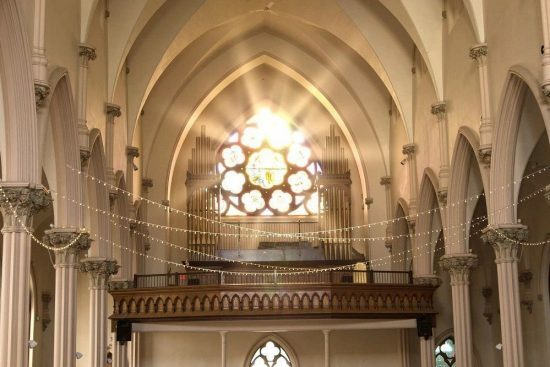 It was created from a former Catholic church, so it has beautiful architecture, high ceilings, and stunning stained glass. The venue really took our breath away. It has been updated with modern sound system and lighting, and there is also a luxury suite built in the former choir balcony that has great views. We can't say enough about the Agora Grand and we highly recommend it for business events as well as beautiful, upscale weddings.